It’s been more than nine years since a devastating tropical cyclone known in the Philippines as Typhoon Ondoy made landfall, causing US$1.09 billion in damages, 747 fatalities, and severely affecting the lives of 4.9 million people. The September 2009 storm was the most devastating typhoon to hit Manila since 1970. Nearly 10 years later, survivors are still struggling to rebuild their lives. EO Philippines members are determined to help one particular community that was devastated by the natural disaster. Their story is an example of social entrepreneurship at its best. When floodwaters devastated the city, many families were relocated from urban Manila—specifically from a section of the city called Marikina, the shoe capital of the Philippines—to rural farmland. These families lost their houses and livelihoods. In the relocation site, there were no jobs, so they had no income. Their backgrounds and life skills were those of cobblers, shoemakers and factory workers. However, left with nothing after the devastating typhoon, they had to reinvent themselves and adapt to becoming farmers almost overnight. 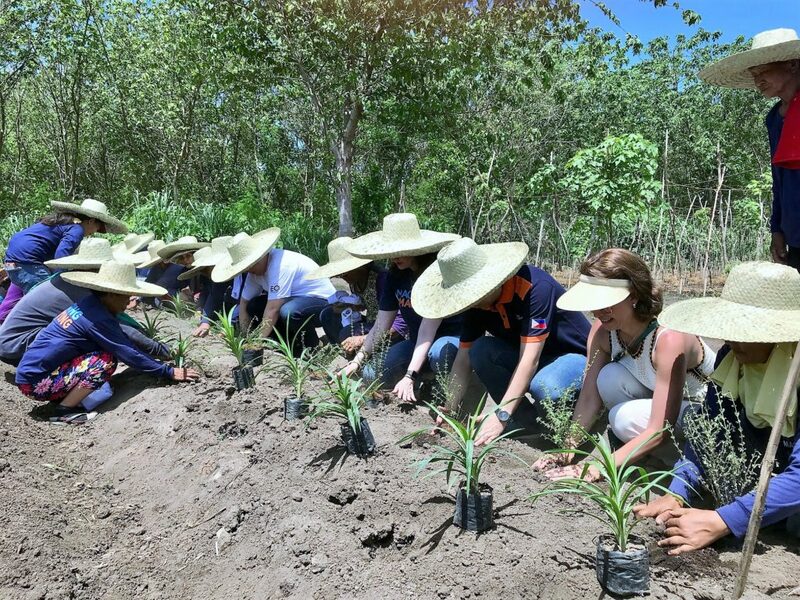 The Ayala Foundation, which works to build productive, creative and self-reliant Filipino communities, works with the cobblers-turned-farmers to provide skills and opportunities. First, they learned ornamental farming to supply the Foundation’s sister companies with landscaping plants for real estate projects. This success gave birth to organic vegetable farming, a way to expand their livelihood. The Ayala Foundation’s focus on creating shared value in a sustainable livelihood aligns with EO’s core values of Boldly Go and Give Back. The EO Philippines chapter has a strong commitment to social entrepreneurship. Its members include Julie Vergara, MyEO Global Committee Chair, and Sheila Ramos, MyEO Engage group champion. They coordinated a MyEO Engage project with chapter president Jonathon Te and Joanna Duarte, an EO member who works for the programs department of Ayala Foundation. In June 2018, EO Philippines undertook a partnership with Ayala Foundation to go green in support of this community of shoemakers who unexpectedly became farmers overnight. This project makes us realize how we, as EO, can use our influence and resources to create a huge positive wave that can significantly impact our community and our country. To provide favorable farming conditions and create a sustainable business model to support the livelihood of the community of families displaced by Typhoon Ondoy and the Pasig Rehab Program. To create an EO Engage program that not only directly impacts a community but also promotes a healthier, cleaner diet by making organic vegetables easily accessible to the members. Phase One: Build a greenhouse for farmers in Laguna to provide favorable farming conditions. Simultaneously, EO members will help the farmers organize a legitimate cooperative that enables them to sell directly to end-users—both businesses and consumers—thereby eliminating the bureaucracy of the local farming industry. Phase Two: Offer organic produce to EO member’s companies in the food industry. Phase Three: Offer organic produce to EO members for personal and family consumption. From four core members, the MyEO Engage project has grown in scope with 20 EO members now participating. Phase One is underway; EO Philippines has funded two large greenhouses that are already in use, enhancing organic vegetable production. Short-term, the social impact will be creating favorable farming conditions for families in the area. Long-term, the goal is to implement sustainable livelihood projects through employment or enterprise for families in the area. EO members are supporting and mentoring the farmers, guiding them with entrepreneurial lessons in how to continuously increase their business bottom line. Ayala Foundation is forming a cooperative to enable farmers to sell directly to consumers without a middleman, which is a primary pain point for a lot of farmers. The goal is to help farmers market their organic produce directly to EO members in the food industry. Once these operations are established, EO will assess various competencies to help the farmers stand on their own. Juju Eats, EO Philippines member David Azanza’s chain of healthy eateries, is already buying vegetables from the farmers. Eventually, other EO companies will join the market for their vegetables, which is good for both farmers and the companies which will receive high-quality produce at a fair price. 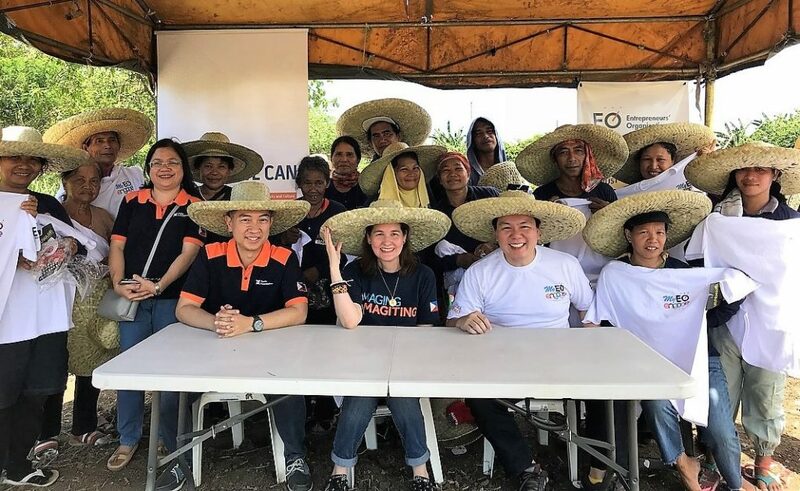 The members of EO Philippines were adamant that they wanted to support a project that is both sustainable and goes beyond contributions to enable more Filipinos to start their entrepreneurial journey. In order to foster entrepreneurship, after 75 percent of the funds EO members contributed went toward building the greenhouses, 25 percent was provided as a capital loan that the chapter expects the farmers to pay back. This ensures accountability for the farmers, giving them a stronger stake in the project’s success. “In late summer, the Ayala Foundation’s project coordinator took us on a tour of the farm, narrating the stories of farmers displaced by the typhoon. Despite the devastating experience of losing everything they had in the flood, these shoemakers-turned-farmers flashed cheerful smiles as they welcomed us to their community. It was a powerful experience. “Working with these farmers taps into the complete 360º persona of an entrepreneur. The impact for everyone involved is deep and significant, providing us with profound meaning as to why we do what we do. This project makes us realize how we, as EO, can use our influence and resources to create a huge positive wave that can significantly impact our community and our country. Are you an entpreneur who wants to use your success to do good? Then you’ll fit right into EO’s network of global entrepreneurs. Learn what it’s like to be an EO member. 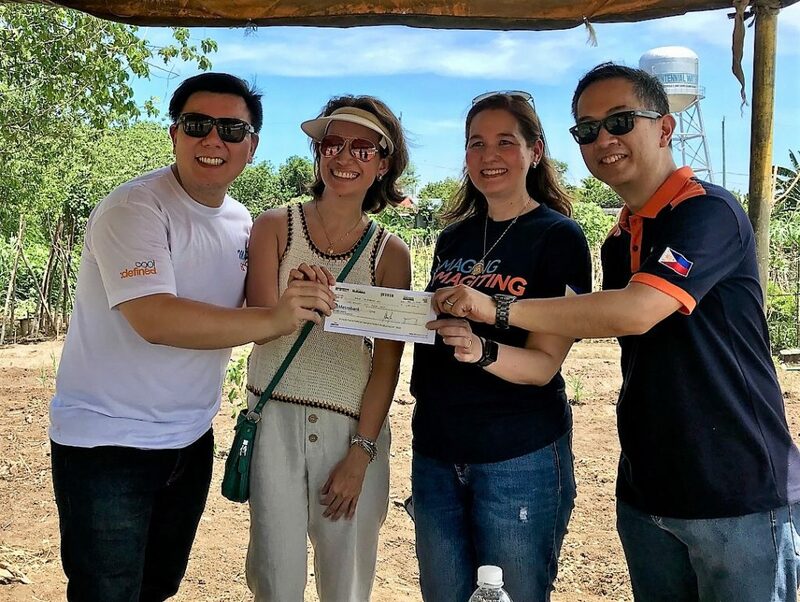 The post How EO Philippines Members are Helping an Entire Community Displaced by Typhoon Ondoy appeared first on Octane Blog – The official blog of the Entrepreneurs' Organization.